Completed my world tote. Not a difficult bag to actually make but the pattern matching was the biggest challenge. Good job I had lots of this fabric so even the tabs for the handles are matched to the bag beneath. The massive front pocket fits a tablet (I checked with mine) and is very padded so ideal for travelling. This may be my carry-on bag of choice from now on. There are lots of interior pockets too included a padded phone pocket. 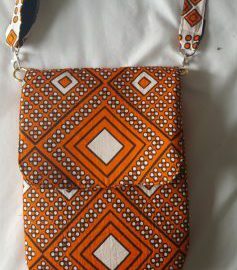 The pattern can be readily adapted to any size of tote required. A shoulder strap can be added though I have yet to make it.